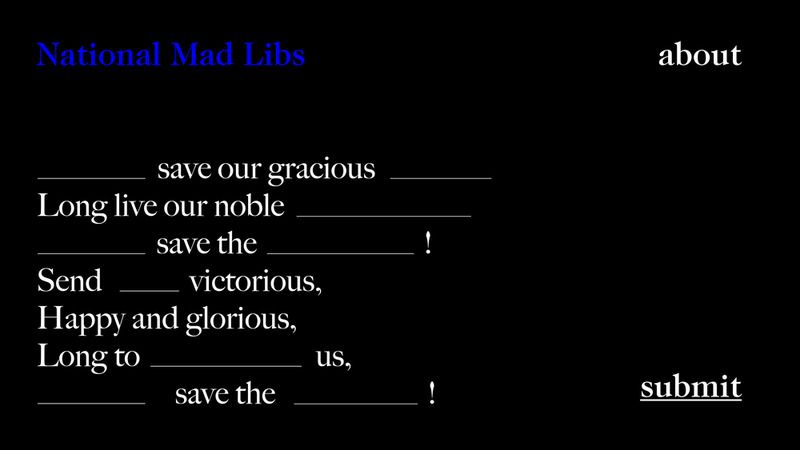 National Mad Libs* is an interactive installation, presented in the form of a website. National Anthems constitute a strong part of the language associated with nationhood. But are anthems currently reflective and relevant to national identity? By reimagining a way that anthems could be constantly reconstructed by each individual, I came up with the National Mad Libs concept. Using the National Anthem of the United Kingdom as a starting point, I created an online platform, where people can interact with a revised version of the original anthem that has key words missing and fill in the gaps. People can choose to be political, satirical, expressive or humorous and nonsensical facing this linguistic challenge. 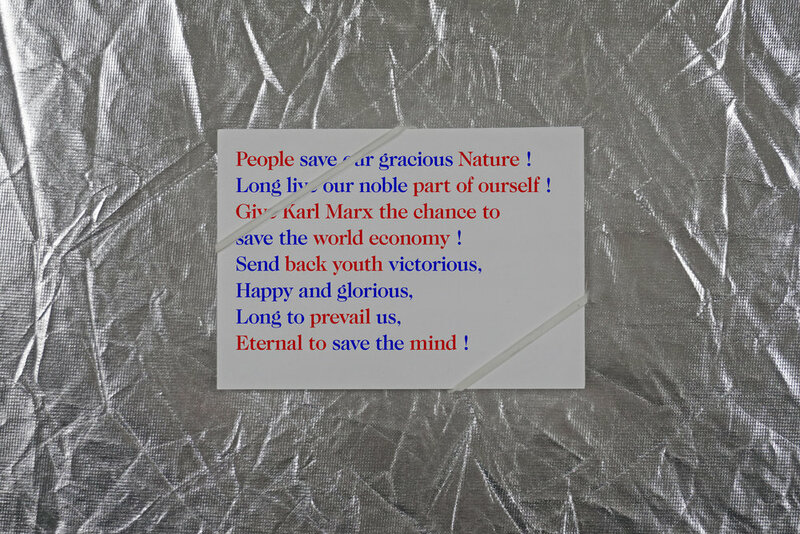 The final website was presented and exhibited as an installation during the GSA Degree Show where visitors used the platform to create their own personalised anthems and their results where accumulatively displayed on the website. You can check out National Mad Libs results here! 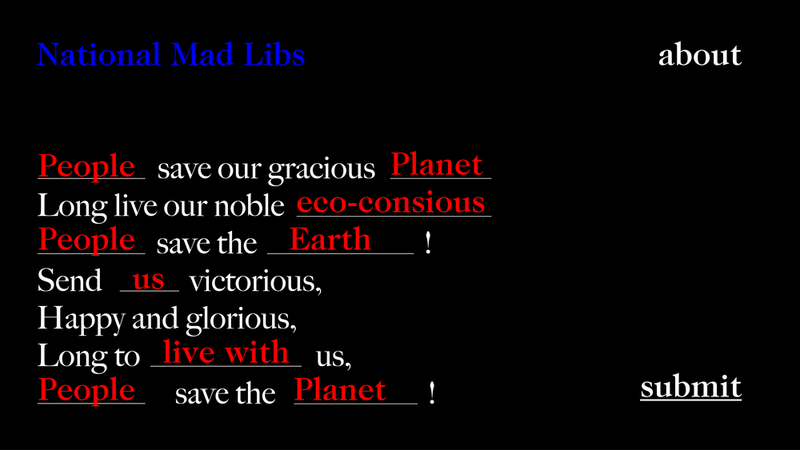 *Mad Libs is a phrasal template word game where one player prompts others for a list of words to substitute for blanks in a story, before reading the – often comical or nonsensical – story.